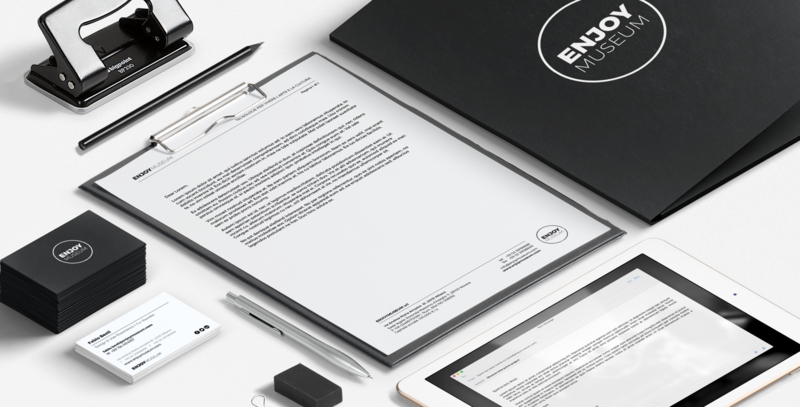 Enjoymuseum is a Milan based start-up that leverages technology to redesign and augment the museum experience. I co-founded the company in late 2015 and served until early 2017 as the Head of Design and User Experience. I pushed design-thinking through every phase of the company start-up process, from the more design related activities, such as brand definition and digital products design, to more strategic ones, like R&D planning, communication strategy and product ecosystem definition. Museums are still struggling to implement technology and to utilize it as a driver of growth and innovation. 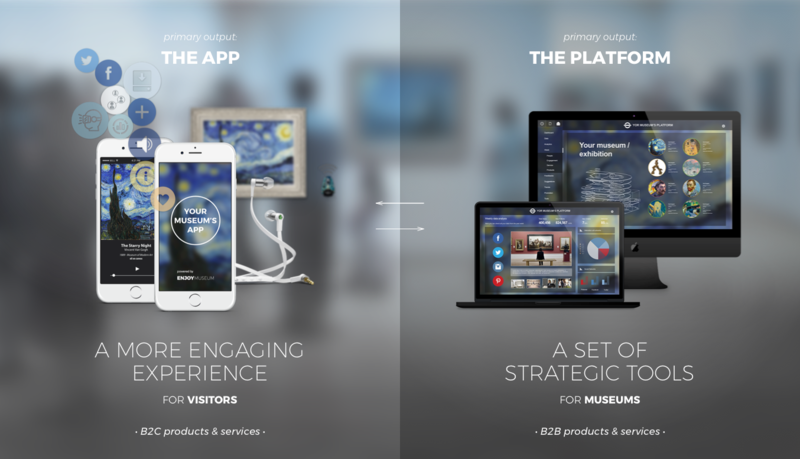 Enjoymuseum let museums and cultural institution embrace the digital revolution and exploit the major opportunities that come with it. Enjoymuseum has to be as much invisible as possibile, it has to camouflage with every museum and highlight the art and the environment. The moments where the brand or the products are visible consist in a slight and non-disruptive change of focus. This is why all the elements of the brand and all the technological interfaces of the products are completely color neutral. They can blend-in with every environment and can be juxtaposed to infinite color-scheme options. 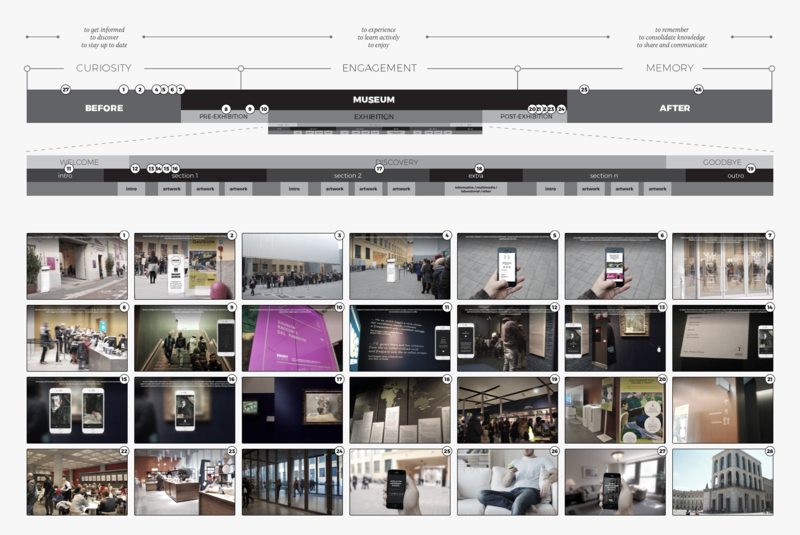 In order to test the concept, we documented a visit at Milan’s Museum of Cultures – Mudec. This process was key to elaborate a hypothetical customer journey map and to conceptualize B2B products and services. 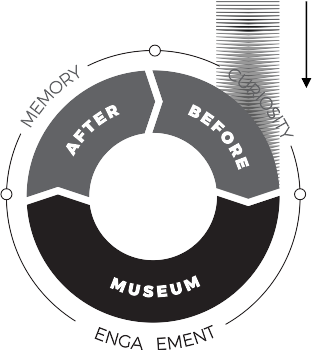 We further improved this map and turned it into a general model useful for multiple type of museums; this prompted us also to think about all the other possible interactions with users before and after the actual museum visit.